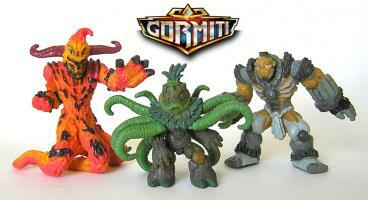 A new series of Gormiti is available! Made of 26 new characters, it was in stores since november but I only bought the characters that caught my attention more than the others. I can see a departure from the old toy-ish style toward a more detailed and better painted look, like the new MIMPs.